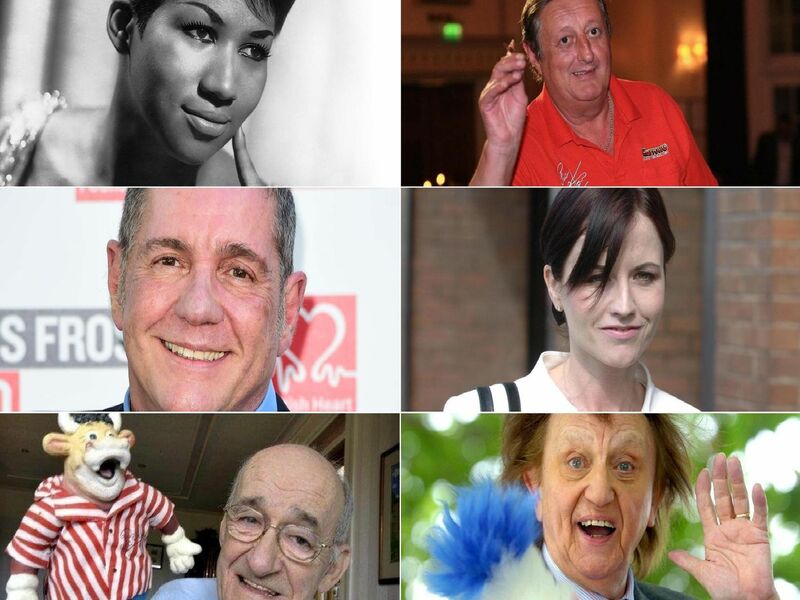 From the 'Queen of Soul' Aretha Franklin to the 'King of Clubs' Peter Stringfellow, many famous faces died in 2018. The year has been notable for the sad passing of many well-known names from the worlds of sport, entertainment and beyond. Here are some of those whose deaths have made the world a poorer place. America's Queen of Soul was 76 when she died on August 16. Best known as a singer and songwriter, she was also a civil rights activist, actress, and pianist. Barry Elliott, to give him his proper name, was one half of the children's comedy duo The Chuckle Brothers, best known for their catchphrase 'to me, to you'. He died on August 5, aged 73. The Hollywood star was in blockbusters like Smokey And The Bandit and The Cannonball Run before becoming a director and producer. He died on September 6, aged 82. The 74-year-old, who died on September 22, was the lead vocalist of Cockney musical duo Chase & Dave, who had big hits like The Sideboard Song, Rabbit and Snooker Loopy.